String of cyclist deaths on Boston streets has us wondering, what's going on? The MassDOT Board of Directors today voted to appoint Beverly A. Scott as General Manager of the Massachusetts Bay Transportation Authority (MBTA) and MassDOT Rail & Transit Division Administrator. A 30-year transportation veteran, Scott will be the first female general manager of the MBTA. Scott currently serves as Chief Executive Officer & General Manager for MARTA, the Metropolitan Atlanta Transit Authority in Atlanta, Georgia, the 9th largest public transit system in the country. She has held the position since 2007. Her prior experience in public transportation leadership spanning more than 30 years includes Chief Executive Officer & General Manager of the Sacramento Regional Transit District in Sacramento, California, and General Manager of the Rhode Island Public Transit Authority in Providence. Steve Annear-- Drivers might have a hard time finding a parking spot in certain areas of the city on Friday, but they will be pleasantly surprised when they realize those spots have been taken over by green grass and lawn chairs. As part of PARK(ing) Day, an international event where groups transform places usually reserved for vehicles into vibrant mini-landscapes, participants will be throwing down sod and seats, and start playing tunes as if they were relaxing and enjoying a day in the park. MassDOT today announced that the Massachusetts Safe Routes to School Program has passed a historic milestone the enrollment of its 500th Safe Routes Partner School. This is the first statewide Safe Routes to School Program to achieve this level of active participation. MassDOT is excited to recognize Massachusetts as the first state to recruit 500 Safe Routes to School Partners. This achievement is a testament to the Commonwealth's unique Safe Routes to School program structure, the efforts of program staff, and the commitment of our communities to make walking and bicycling safer and more widely used travel modes for our school children says MassDOT Highway Administrator Frank DePaola. Jim Saksa--A recent study by researchers at Rutgers and Virginia Tech supports that hypothesis. Data from nine major North American cities showed that, despite the total number of bike trips tripling between 1977 and 2009, fatalities per 10 million bike trips fell by 65 percent. 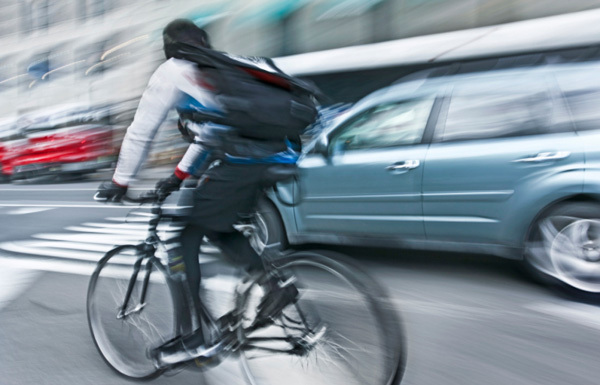 While a number of factors contribute to lower accident rates, including increased helmet usage and more bike lanes, less aggressive bicyclists probably helped, too. Despite such statistics, lots of drivers assume all people on bikes are assholes like me. In doing so, these motorists are making an inductive fallacy, not unlike saying, "Of course he beat me at basketball he's Asian like Jeremy Lin and Yao Ming." Now, you might be thinking to yourself that you've seen more than one or two suicidal cyclists in your day that these roaches on two wheels are an infestation that's practically begging to be squished underfoot (and by foot you mean "my Yukon Denali". Paolo Cabral-- Next time you complain about being stuck in traffic, spare a thought for the drivers in Brazil's biggest city, which has some of the worst congestion problems in the world. Friday evenings are a commuter's worst nightmare in Sao Paulo. That's when all the tailbacks in and out of the city extend for a total of 180km (112 miles), on average, according to local traffic engineers, and as long as 295km (183 miles) on a really bad day. Red brake lights stretch as far back as the eye can see, blinking repeatedly as drivers endure an exasperating stop-and-go journey, which can continue for hours. "It's like a sea. A sea of cars," says Fabiana Crespo, as she slowly navigates the congested streets with her 10-month-old baby Rodrigo.